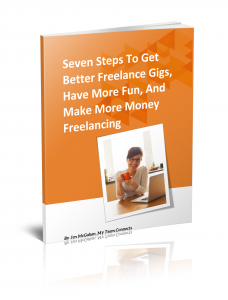 Want to know how to attract thousands of people to your community? Not just find you…but give them a reason to stick around. Once you have their attention, seize this opportunity to serve them better by sharing your value. Move things forward by asking for a small transaction: their best email address in exchange for your awesome free gift. That’s how you unlock the secret to higher engagement and commitment. The cool opportunity for YOU is that email address grants you backstage access to your superstar prospects. If you continue to deliver relevant content, they’ll become your customers. 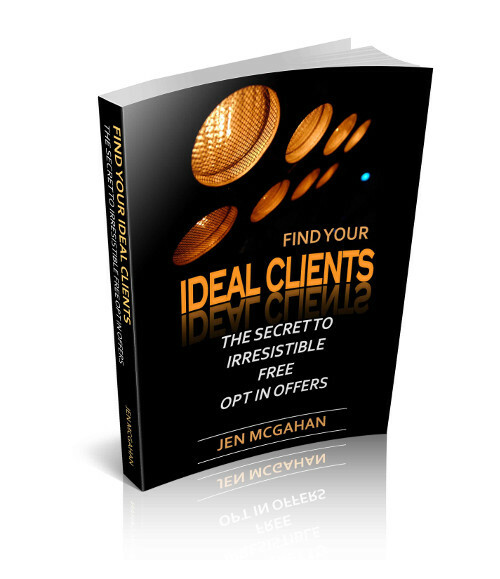 The book Find Your Ideal Clients: The Secret to Irresistible Free Opt In Offers, explains the process of how to articulate your value and create an offer your customers want. In fact they won’t think twice about giving you their email address because it’s so clear! If you get this right, they won’t be able to resist your offer. Is it something they’d share with a friend? Does it trigger a positive emotion and a move-ahead mindset? Does it hold a promise of better things to come? Need help crafting your offer and identifying what should go into it? Schedule a FREE strategy session with me. I’ll interview you and help brainstorm the perfect offer — it could be right under your nose! Give the go ahead, and I’ll create an irresistible offer for your ideal clients. Perhaps it will be a script for a video where you share something profound about what your customer is going through. Maybe it will be a 3 – 5 page report in a downloadable PDF format — all graphics and copy included. Then again it could be a compilation or “Best of” list. Discover how to quickly translate your value. Focus the reader’s imagination toward what your business can do for them. Start building your email list with the “golden goose” of email marketing…the Free Opt in Offer. They’ve found you. Now give them something that really swings the door open!